Credit Do not reproduce without written permission. Queen City was a small manufacturer located in Cincinnati that is known to have built 7 pieces of apparatus. Photographed at the Ohio Fire Academy during the 2006 SPAAMFAA National Convention and Muster. Do you like old fire engines? Me too! Take a look at the SPAAMFAA (Society for the Preservation and Appreciation of Antique Motor Fire Apparatus in America) web site at: spaamfaa.org and see how you can learn more about fire apparatus and share in an interesting hobby. You do not need to own a fire engine to become a member. As part of your membership you will receive an award winning quarterly magazine (Enjine! ~ Enjine! 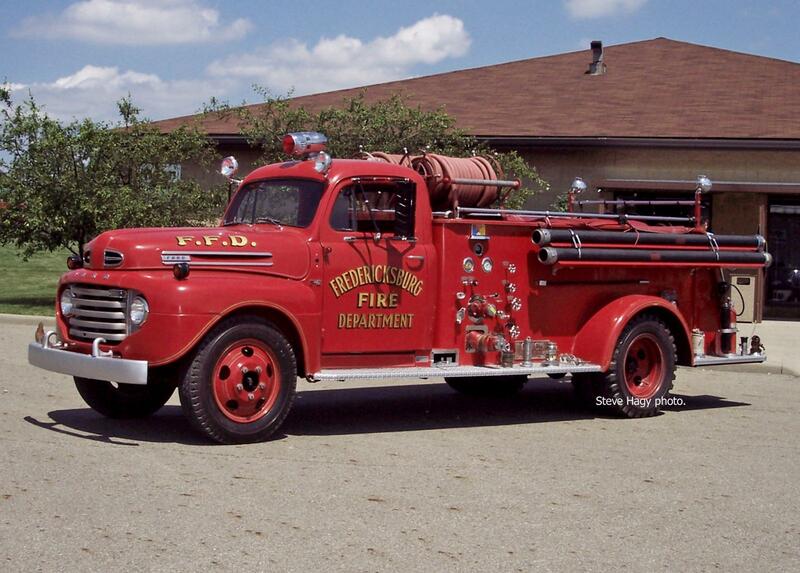 - Published since 1971) devoted to the subject of antique and vintage fire apparatus and a quarterly newsletter. Plus, you can meet lots of other people who share your interest! Do not reproduce without written permission.